Click here to schedule a FREE 15 minute consultation to discuss how homeopathy can help you! First let me start by stating what homeopathy is not. Ready to be surprised? I was! Homeopathy is not: vitamins or minerals, herbs or digestive enzymes, apple cider vinegar or tea, lemon water or amino acids, garlic capsules or probiotics, and the list goes on! While all of these natural products are effective and I blog about them a lot, they do not fall under the modality of homeopathic medicine. 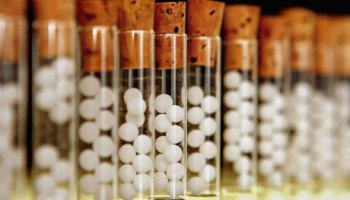 Homeopathic medicine is a medicine system in and of itself, just like ayurveda and TCM (traditional chinese medicine) are. Each of these natural products and systems fall under the umbrella of CAM (Complementary and Alternative Medicine) but they are not all the same. So homeopathic medicine is one subset of alternative medicine. 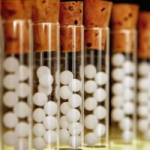 So what exactly are homeopathic remedies? Homeopathic remedies are those little white pellets you find at the healthfood store (or even the drug store these days…think teething tablets and oscillococcinum for the flu). They are the white pellets in little bottles with “weird” names in the ingredients such as Allium Cepa 1x, or Belladonna 30c or Aconite 20x. While these products found at the store can be very effective for the purpose intended, they represent the tip of the iceburg of what homeopathic medicine can accomplish! You know my story and if you don’t you can click on “About Stephanie” above. Homeopathic remedies are responsible for 90% of the healing that occurred with my family. Of course we hired a professional homeopath who specialized in the disorders we were trying to treat. 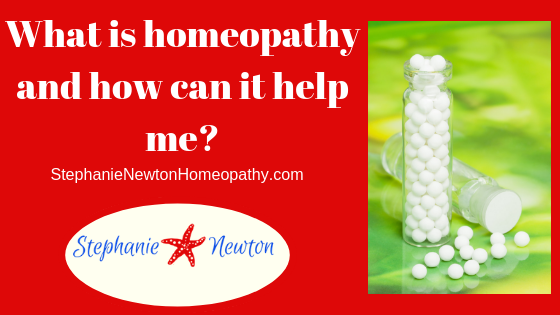 What does a professional homeopath do? Professional homeopaths are normally sought after for chronic conditions. A homeopath aims to find the one perfect remedy that matches your constitution, or your whole mental, emotional and physical make-up, including the symptoms of your illness (or your fatigue, your insomnia, your lack of vitality or “oomph”, your low libido or erection problems, your addictions, or whatever it is that limits you or inhibits your freedom in life). This remedy is called your “constitutional remedy” and will balance out and revitalize your “vital force”, as it is called in homeopathy (also called “chi”, or “lifeforce energy” in other systems of medicine). When your vital force is balanced, your mind and body can go about the business of healing itself. Sometimes a homeopath will resort to “poly-pharmacy” (the practice of prescribing more than one medicine) if the disease state is complicated, advanced or resistant. This may include more than one constitutional remedy, or a constitutional remedy PLUS a remedy (or two) to target a specific issue (such as a chronic infection, such as Lyme disease, or even an ongoing reaction to a medication or vaccine), or even a remedy to address a category of susceptibility that the person may have been born with (to put it into simple terms). Oftentimes, the remedies prescribed (or the specific potency prescribed) by homeopaths will not be found at your healthfood store and will need to be ordered from a professional homeopathic pharmacy either here or abroad. What is in these little white pellets? I mean, they all look the same! Well homeopathic remedies actually fall into the category of energy medicine (along with modalities such as acupuncture, meditation, qi gong, reiki and even yoga). So the white pellets contain “energetic resonances” of various plant, mineral or animal substances (among other substances such as diseased tissue or medications). In other words, the remedies contain the actual “vibrational frequencies” of the substances, and not the actual substances themselves. So, the remedies work on a more energetic, or atomic, or (some would even say) spiritual level, than a substantive or cellular level. The remedy with the most resonance with the patient (much like two tuning forks sound the same when they are in resonance or vibrating in the same frequency) is the one prescribed. Is this starting to sound like particle or quantum physics? Well that’s because it is! But, don’t be fooled. Everything (our cells, tissues and organs) is made up of atoms/energy, so by affecting our minds and body on an atomic level we are thereby affecting our bodies on a cellular, tissue, organ and organ system level. Body chemistry does come into balance when expert homeopathic treatment is administered (of course there are no guarantees in any system of medicine). One last concept to address is the Law of Similars upon which homeopathic philosophy rests. This law states that like cures like. So for example, when a person’s constitutional remedy is found it will cancel out the derangement in the vital force by actually introducing the same derangement into the organism! So if this remedy (or its original substance from which it was made) were taken by a healthy individual, the individual would actually exhibit the symptoms that the homeopathic remedy will cure in a person who already exhibits those symptoms as a pattern of their illness. For those readers who are more analytical in nature (like I am), a book I recommend is The Science of Homeopathy, by George Vitoulkas. He gives you as much physics and scientific nomenclature about how homeopathy works as you could ever ask for! You can also do some research and ask around for people who have been cured by homeopathic medicine. There are cure and miracle stories abound, you just have to find them! The benefits of homeopathy are still sort of a well-hidden secret here in America. In other countries such as England and India, medical doctors routinely refer their patients to homeopaths. For more information about homeopathy and my practice, click below to schedule a FREE 15 minute consultation, or you can go right here to schedule your first consultation.